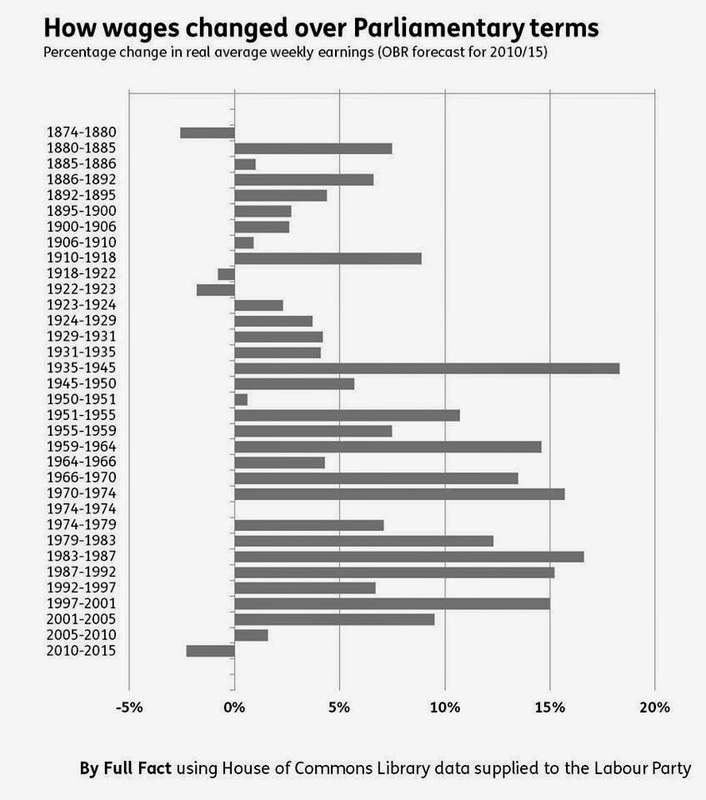 I think this chart shows clearly just how serious the decline in wages has been under this government. While at the same time of course Executive pay has rocketed. Check out this TUC report on "Executive Excess".